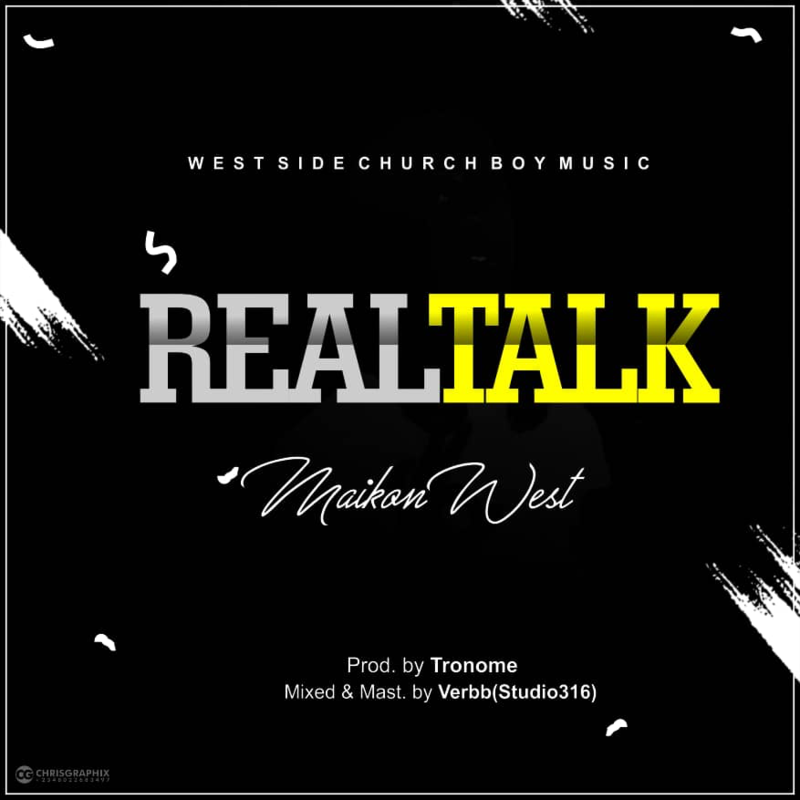 One of these fast rising indigenous Christian Rapper Maikon West is out with a new single #Realtalk. The Christian Rapper released couples of project this year #The New city Ep, #Jesus4theboiz and Never featuring King supremez x MGp. Now the west side church boy music act is out with this dope Hip hop tune with a unique style and energy dishing out some message to his fans. #Realtalk is song you need to listen too. Enjoy.